The Scottish weather has been our most popular topic for discussion for as long as I can remember, most usually a conversation opener, a good way of breaking the ice. So without it what would we do? Would we have to be more inventive with our conversations? Would we become more intellectual? Who knows? The good news is there’s no need to panic, because we’ll always have it, that’s for sure. I’m referring of course to the good old Scottish weather, much maligned but good just the same. It does NOT rain in Scotland all the time! We DON’T travel by boat on our roads! The cows do NOT wear raincoats! Yes, our weather is changeable and, to put it mildly …. unpredictable, but really, it’s usually quite moderate, which is a blessing considering where we are on the map. Now, I have to say I’m not a mete… a metero… I’m not a meteorolo… OCH …. @#*X! … I’m not a weatherman, but I know our climate has something to do with the fact that we’re close to the Atlantic and the Arctic, and we get warm air from the gulf stream. So with all this conflict going on it’s hardly surprising that the Scottish weather can be just a wee bit temperamental. But when you think about it, we really are blessed, when you take into consideration that we are not known for having a rainy season, tidal waves, monsoons, droughts, hurricanes, landslides, earthquakes or avalanches. I think the myth that it always rains here may be something to do with the fact that it usually is raining IN SOME PART of the country. Maybe that’s where the old joke came from …. If you don’t like the Scottish weather, just wait for 10 more minutes or drive 10 more miles up the road, and it’ll be different. (I think we made that up ourselves). So with all this confusion in mind there’s really no point in me telling you about the weather forecast for Edinburgh if you’re heading for Glasgow. So, if you just click on the Yahoo weather link here you’ll be presented with hundreds of towns, so you can get the best up to date forecast for whatever part of the country you’re heading for. Now I have to admit, it is true that we are liable to have a spot of rain anywhere, at any time, even on a nice sunny day, so if you are visiting Scotland make sure you pack an umbrella or a light rain jacket. Yes, even in the Summer season. Many countries are experiencing climate changes, even Mediterranean countries that have built up tourist trade that relies on warm sunshine. Nowadays it’s not uncommon to have 4 or 5 days rainfall during your holiday, and finding other things to do is sometimes not very easy. You definitely won’t have that problem in Scotland, because you’re guaranteed to find lots to do regardless of what the weather is like. Springtime in Scotland is a wonderful time, with clear crisp mornings that encourage our most popular outdoor activities, like walking and cycling. Our Summer months invite lazy days on a beach or taking a cruise on the lochs, with a climate that is relaxing and enjoyable and not uncomfortable. Autumn arrives in all its glory with a burst of colour and scenic beauty to inspire fabulous woodland walks, hill walking, climbing and wildlife spotting. The Scottish weather in winter is quite mild compared to some countries, although there’s usually enough snow to satisfy the skiers. Yes, all year round there’s enough going on regardless of the weather, with events in the capital, our castles, museums and places of interest, shopping and nightlife, the weather isn’t even noticed. So, there you have it. I have just spent all that time (and all that writing) just to give you a link to the weather forecast. Well, I did tell you it was confusing, didn’t I? Find The Best Rates For Hotels In Scotland. 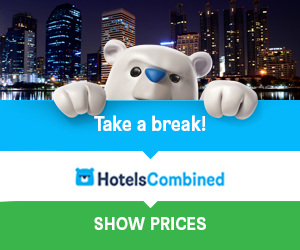 Use this search facility to browse thousands of hotels in hundreds of town and cities.